Ian Miller’s ground ball bounced toward Dominic Smith at first base, who picked it up, double clutched and snapped a throw to the plate. Jose Lobaton placed a tag on Zach Vincej, preventing what would have been the game-tying run to score in the top of the eighth inning as the 51s hung on for a 7-5 win over Tacoma on Wednesday night at Cashman Field. Smith’s quick play came after the Rainiers had put some pressure on the 51s, scoring three runs on an Andrew Aplin double off Chris Beck and a Vincej triple off of Tim Peterson, which plated two. All three runs were charged to Beck, who after a scoreless seventh, struggled to hold the lead in the eighth. Prior to that point, 51s (67-68) pitching had mostly held Tacoma (64-70) in check thanks to a quality start from P.J. Conlon. Conlon went six innings in the game, giving up just a pair of runs in the fourth inning on a David Freitas home run and a Seth Mejias-Brean RBI double. He allowed six hits in outing and struck out four. 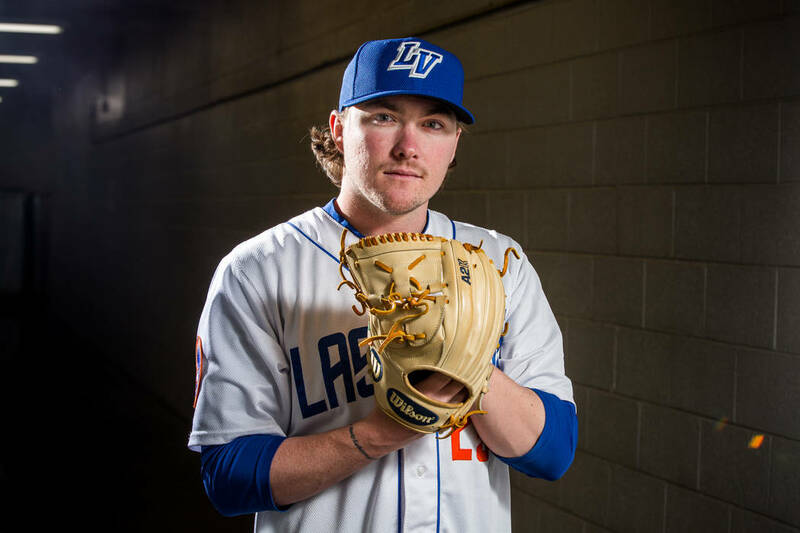 He pitched with a lead for most of the time as the 51s had scored three in the second, one in the third and two in the fourth. Patrick Kivlehan jumpstarted the 51s’ offense in the second inning with his second home run in as many nights. A Jack Reinheimer single drove in two more runs and in the third, Smith hit an RBI single of his own. After the Rainiers had cut the lead to 4-2 at the time in the fourth inning, Las Vegas responded with two more of its own on a Matt den Dekker blast. In the bottom of the eighth, after the Rainiers had made things tight, Peter Alonso rocketed a double to left off former 51 and Las Vegas native Chasen Bradford to give the 51s some breathing room after the shaky top of the inning. Mets captain David Wright, who is in Las Vegas on rehab for neck, back and shoulder injuries, played nine innings for the second straight night with the 51s. Wright went 0-for-5 in the game with a pair of strikeouts.